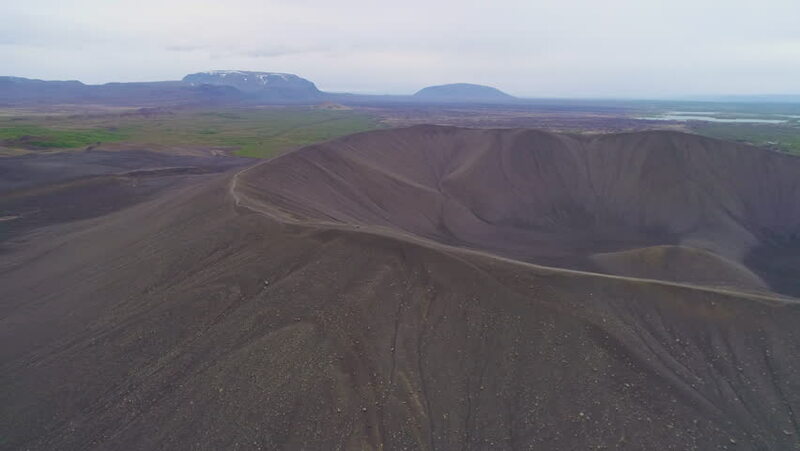 ICELAND - CIRCA 2018 - Majestic aerial over Hverfjall volcano cone at Myvatn, Iceland. hd00:11Gravel Road on the Beautiful Landscape in the Falkland Islands. 4k00:16Aerial view of Wales in Great Britain. Shot from helicopter towards natural mountain ranges, rivers and lakes.